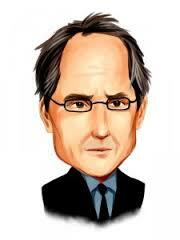 Institutional Investor magazine announces that David Shaw, the founder of D.E. Shaw & Co., is its 2013 Lifetime Achievement Award recipient and Bruce Zimmerman, the CEO and CIO of the University of Texas Investment Management Co., is its Outstanding Contribution Award recipient. With the founding of D.E. Shaw in 1988, David Shaw became a pioneer in the hedge fund industry — advancing not just quantitative investing and the business of investment management but also, through his public service and contribution to science, the positive role of hedge fund managers to the broader community. He and his team at D.E. Shaw developed an entrepreneurial and creative culture that at the time was unusual for the investment management industry. A project to expand State Highway 9, which runs north through Grand and Summit counties, received a $4 million matching grant from the owner of Blue Valley Ranch. The announcement came during Tuesday’s meeting of the Grand County Board of Commissioners, who all voiced their support for the project. The Blue Valley Ranch, located outside of Kremmling, is owned by billionaire hedge fund manager Paul T. Jones II of Greenwich, Conn. Jones previously donated $945,000 to kickstart the improvement project. The project will be submitted to the Colorado Department of Transportation’s Responsible Acceleration of Maintenance and Partnerships (RAMP) program, which seeks to expedite important road improvement projects in the state. Rhode Island has moved about $1 billion of its $7.6-billion state pension fund into hedge funds over the past 18 months, a move that General Treasurer Gina M. Raimondo defended against critics Wednesday in a meeting of the state Investment Commission. For the first eight months, the state paid nearly $16 million in fees. Facing withering criticism from recent stories by a Forbes magazine blogger accusing her of rewarding Wall Street fund managers, Raimondo and commission consultants argued that the strategy will help cushion the pension fund from a stock market crash such as the one in 2008 that cost the fund $2 billion. Switzerland went 0-for-2012 in terms of hedge fund launches last year. This year promises to be quite different—thanks in part to the country’s new hedge fund regulations. Among the new launches will be offerings from veteran JPMorgan Chase & Co. trader Deepak Gulati and former GLG Partners portfolio manager James Berger. The new launches could boost the size of the US$24 billion industry by one-third, according to Credit Suisse. Netflix, Inc. (NASDAQ:NFLX)’s stock is buzzing this week, with its price witnessing a jump of more than 24% to $217.12 a share at the time of this writing. Netflix’s total trading volume was also up 100% over its daily average yesterday, and investors haven’t given those gains back today. Among the various hedge funds invested in Netflix, Carl Icahn of Icahn Capital LP held the largest stake in the company with 5,541,066 shares worth $1,203 million. 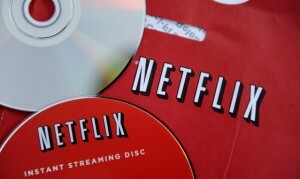 The stock also witnessed an increase in interest from other hedge funds, with many taking fresh positions in Netflix, Inc. (NASDAQ:NFLX) shares. This includes Philippe Laffont of Coatue Management, Christopher Lord of Criterion Capital, Brian Kelly of Asian Century Quest, Christopher Medlock James of Partner Fund Management, Phill Gross And Robert Atchinson of Adage Capital Management, and Jonathan Auerbach of Hound Partners. Let’s check out the list of top 10 hedge funds invested in Netflix.